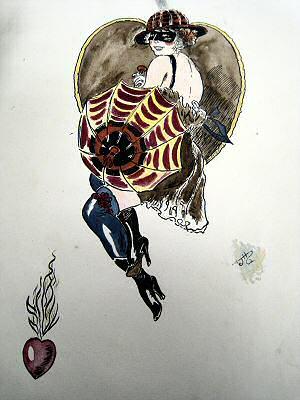 Soon after the Armistice the R.G.L.I. 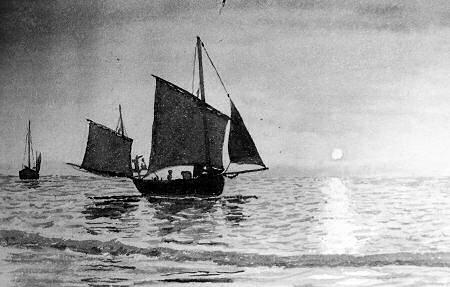 were sent for training at Les Folies camp, Rang du Fliers near Berck sur Mer, on the Pas de Calais coast. 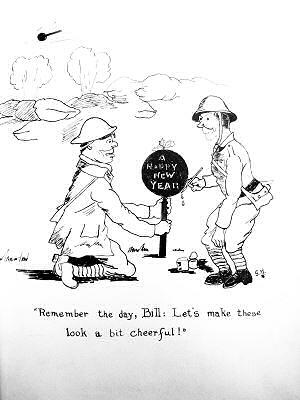 The war was over and there was time to start enjoying the peace before returning to Guernsey in 1919. 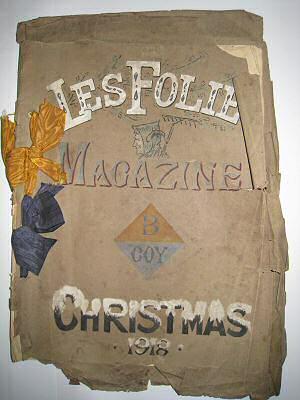 Hand written, seasonal, magazines named "Les Folies" were produced by "B" Coy whilst in the camp. Only one copy of each was made and, amazingly, these have survived. It is not known if more editions followed. They are now conserved by the Social History Department of the Guernsey Museums Department and are shown here.